From your seemingly timeless dresser, to that worn sectional you just can’t give up, even the best pieces of furniture need to evolve with you. It’s tempting, whether you’re redecorating or simply not feeling the love for a particular piece, to donate it and start over with new furniture. But that idea isn’t best for the environment–or your budget. DIY furniture makeovers, however, are a budget-friendly, fast, and fun way to upgrade your furniture so it looks like it belongs–even as your design preferences evolve and change. A quick and simple DIY furniture makeover for your wood or plastic furniture? Paint. Simply giving your end table a new color or changing the wood finish on your dining table will add new character to it. If throwing on some fresh color isn’t you thing, consider painting a bit more meticulously. 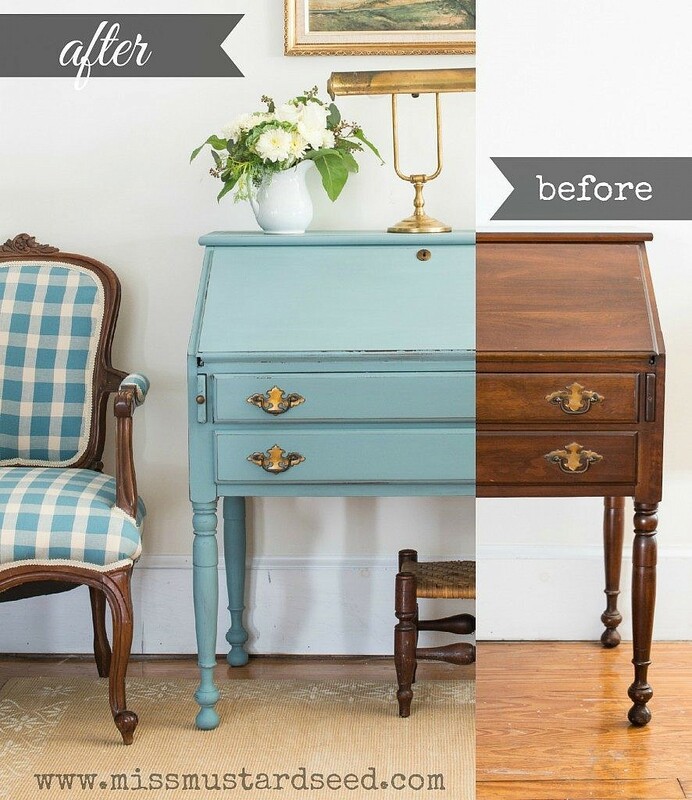 Use a stencil to add some patterns, or paint only one drawer on a dresser to use the color as an accent. Just make sure to prime your furniture before painting to avoid your new color chipping away (along with your resolve to keep the piece). 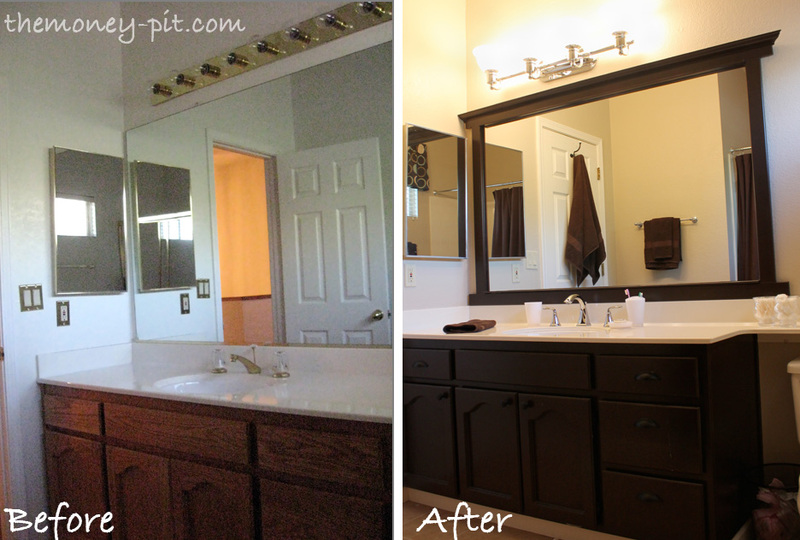 A simplistic mirror or standard shelf was a great idea…back in your minimalist design phase. But once you’re ready to graduate to something that feels more luxurious, crown molding or trim can do the trick. Using photo frame trim or by-the-piece crown molding, you can easily transform the look of mirrors, cabinetry, bookshelves, and more. 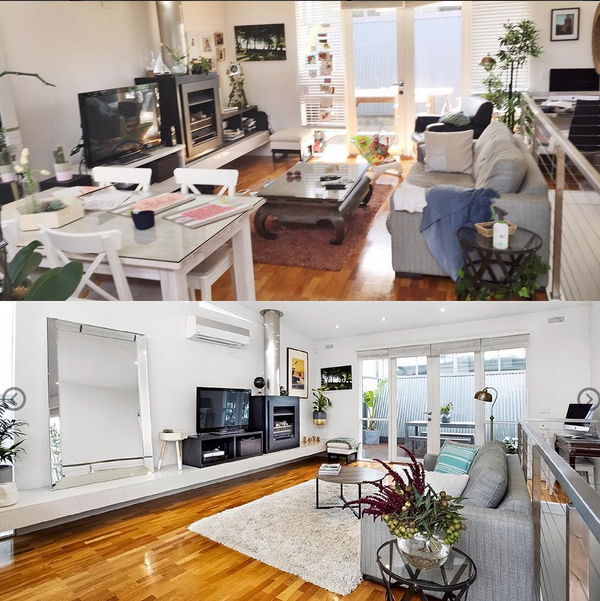 This isn’t an upgrade per se, but de-cluttering all the random stuff sitting on your furniture will surprise you with just how different it looks. But it’s important to declutter more than just the stuff. Now’s the perfect time to take a look at your furniture in total and see what pieces aren’t functioning the way you hoped. Unused ottomans, storage spaces unfilled, even spare pieces that just take up space without being used, should all be on the chopping block. When you’re ready to bring your pieces to the donation center or dump, book a Dolly and we’ll connect you with a local pickup truck owner ready to take care of your unwanted items so you can focus on upgrading your space. Just like repainting, adding wallpaper to an otherwise dull furniture piece can bring new life to it, plus serves to bring its design in line with the rest of your space. 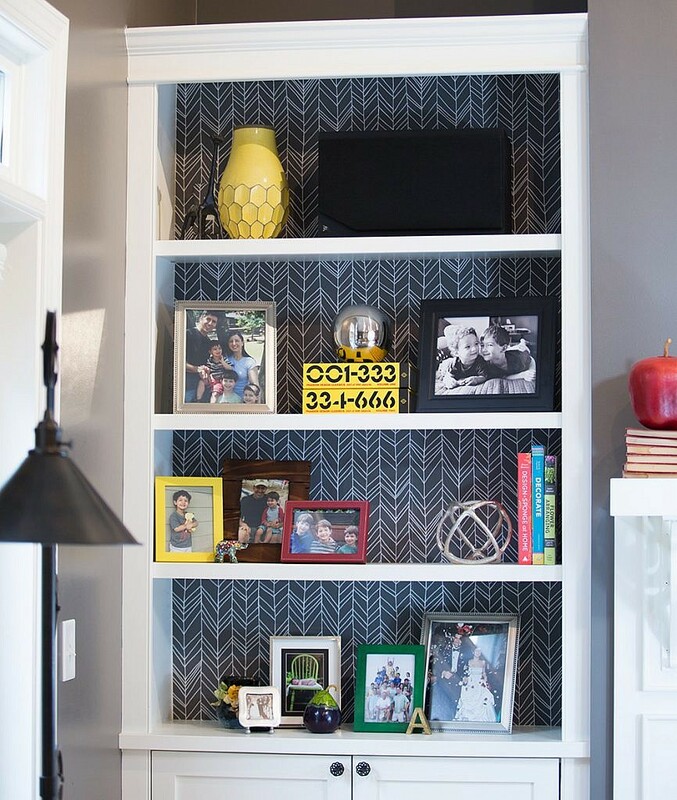 Any furniture piece with a flat surface is a good candidate for wallpapering, but bookshelves, hutches, and desks are some of the best options. For bookshelves and hutches, consider adding wallpaper as a backsplash that contrasts the solid colors found on the rest of the piece. Desks, on the other hand, are the perfect pieces for wallpaper on top. For those intimidated by the work involved with wallpapering, consider using stick-on contact paper instead. Oftentimes, hardware serves as an afterthought when selecting furniture, so it’s no wonder that pieces with odd or out-of-place hardware quickly become your least favorites. It’s fairly simple to switch out the hardware on your trusted furniture pieces, and is one of the most impactful DIY furniture makeovers with some of the least work involved. Easily upgrade all of your furniture in one fell swoop by replacing all the plastic or ambiguously colored handles and hardware with new hardware in a stylish but classic finish, like gold or copper. 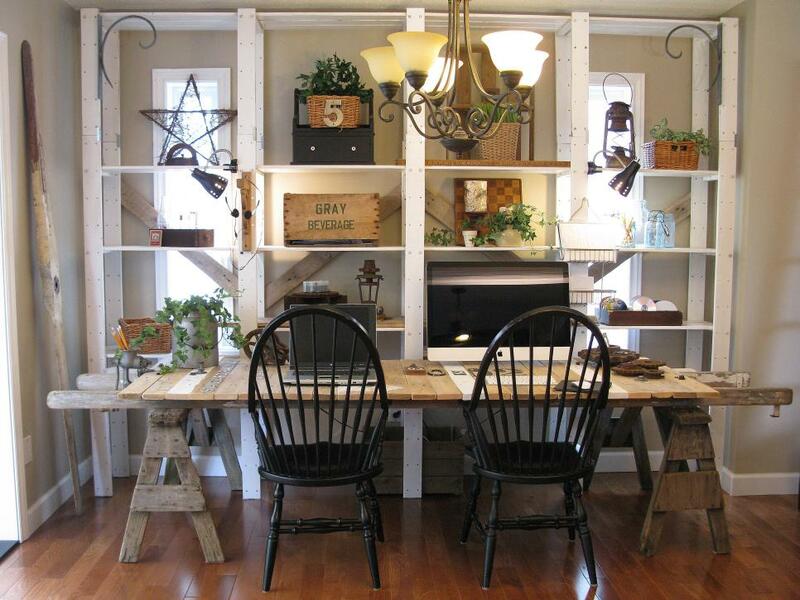 This is both a fashionable and often functional DIY furniture makeover. 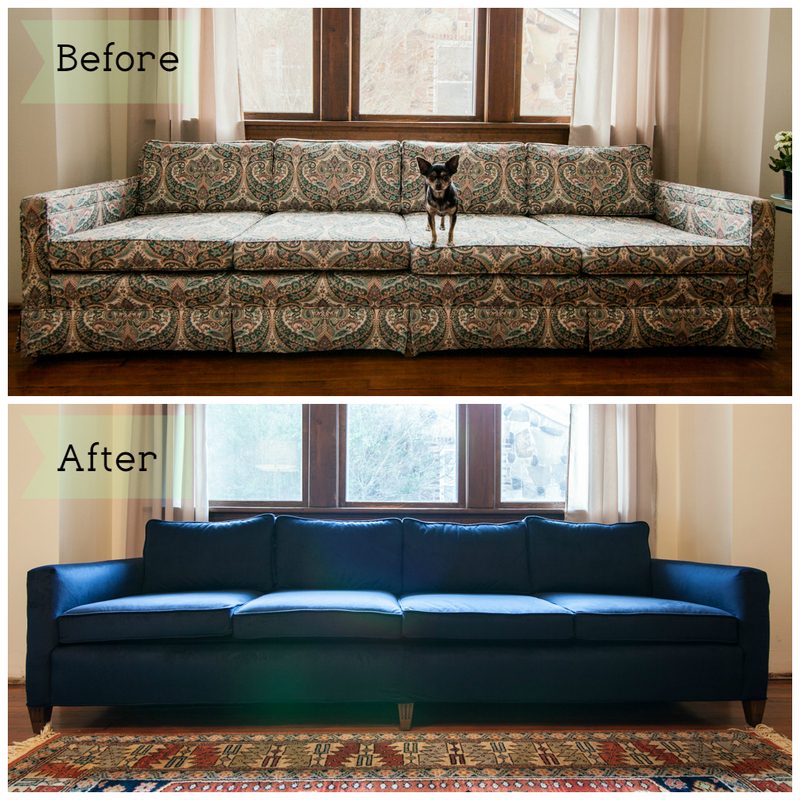 Changing the out the legs on your couches can have a huge impact on the way they look, from clunky and unoriginal to refined and classic. 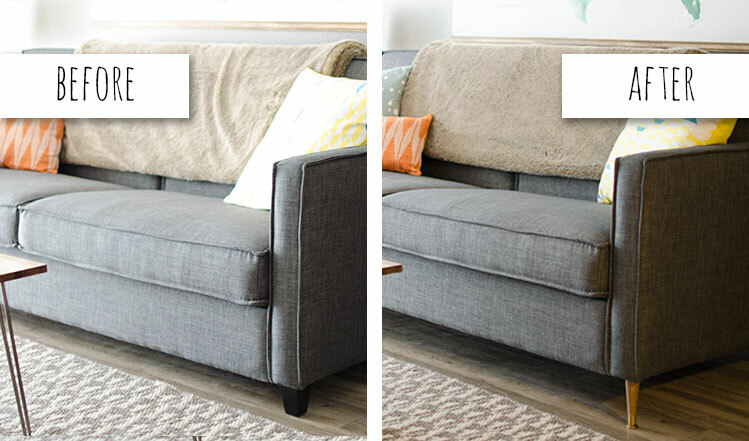 And when you change out the legs, you can often opt for taller ones, allowing you to effectively raise the height of your couch and clean more easily underneath (buh-bye, dust bunnies!). If you’re going for a more down-to-earth look (or height), you can always opt for shorter legs instead of longer. Maybe when you first purchased that loveseat, you thought millennial pink was the perfect choice for the covers. But now that it’s weathered a few years, and the millennial pink has turned into a muddy salmon, it’s time for an upgrade. Getting new upholstery for a couch or lounge chair isn’t the easiest task if you brought designer furniture, but furniture from big-box stores or websites is simple to find new covers for (IKEA in particular is the master of this, with covers available in a multitude of colors for popular pieces like their lofallet sectionals). Tufting your couch cushions will take your couch from depressed to designer in all of ten minutes. All you need is rudimentary sewing skills, a tape measure, and buttons (which you can order online, from the comfort of your soon-to-be-tufted couch). 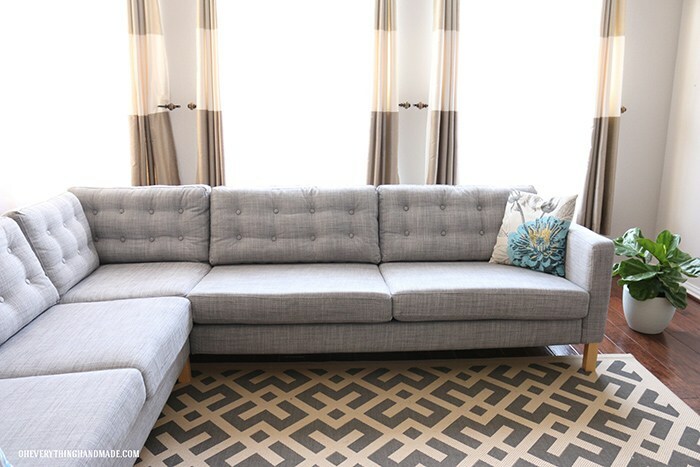 Love the tufted look? Consider tufting your fabric headboard as well. Once your furniture is redone and ready for new use, make sure to get rid of the rejects. Dolly can help with that. We’ll connect you with a local pickup truck owner who’s ready to take your unwanted stuff away at an affordable price, giving you more time to enjoy your like-new home.